Victorian 1890's vintage portrait brooch. Polychrome hand painted porcelain and brass. 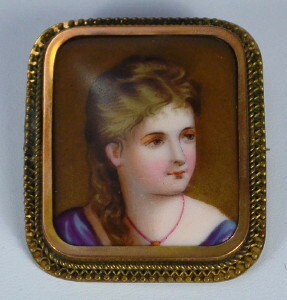 19th century finely painted miniature woman's portrait. Brass intricate wire work frame setting, rope with zigzag & dot pattern. 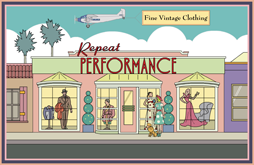 All original Victorian era, true 1890's vintage.